I‘ll admit it: it’s been three weeks since I left Vietnam and I can’t stop thinking about how badly I want to return. While I’m grateful for the month I spent there, I don’t think it was enough. If I’d known acquiring a one month visa to roam the country was too short for my liking, I would have gladly shelled out some extra cash for the three month option. Although I loved each town I visited, there’s one place in particular that really struck a chord with me: Phong Nha. Time was ticking when I first arrived in Phong Nha, Vietnam, but it didn’t take me long to realize that the gorgeous mountain village is special. It’s one of those places that seasoned travelers rave about when describing their journeys of decades past; it felt like the “real” Vietnam I’ve heard so much about. 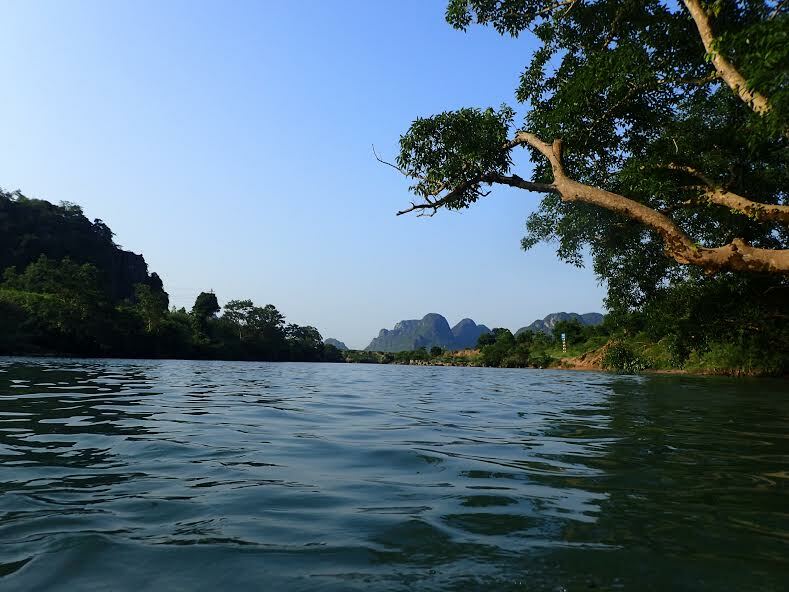 Since becoming a UNESCO world heritage site in 2003, travelers from all walks of life have developed a strong interest in Phong Nha Ke-Bang National park and the spectacular surrounding areas. The increase in tourism brings in a number of job opportunities for locals and expats alike. One of the most notable local businesses in the town is Thang’s Phong Nha Riders, a motorbike-tourism company aimed to give visitors a bona fide experience through the surrounding national parks and countryside trails. The brains behind the operation is 20-year-old Nguyen Van Thang, who started the business to give fellow Phong Nha residents accessible employment and for tourists to enjoy all the town has to offer in a unique and exhilarating way. Unfortunately, I didn’t get to experience one of Thang’s rides while I was there; I did a cave tour by way of bus as the roads were horrific due to a national holiday. Had the timing been right, there’s no doubt I would have opted for a day (or two, or three) out on the road with Phong Nha Riders. Each of the locals and expats do a great job making sure visitors have a one-of-a-kind and memorable experience while in town. Once I left Phong Nha, I felt like I’d left a piece of my heart behind. While I was traveling through northern Vietnam, I’d asked a few people if they had any recommendations for accommodation as I headed south. Without hesitation, everyone suggested I stay at Phong Nha’s Easy Tiger Hostel. I obviously heeded their advice and I have to say I am extremely happy I did. The beds were the most comfortable I had in my entire month in Vietnam and the atmosphere was upbeat and positive. If you’re not interested in a party vibe, the Phong Nha Farmstay is top-notch. 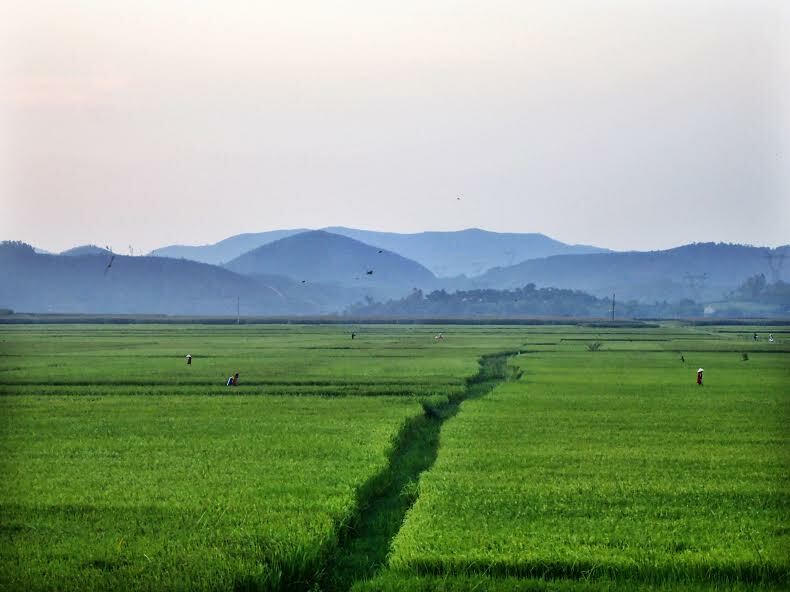 Situated alongside peaceful and lush rice paddies, the Phong Nha Farmstay is an excellent sanctuary for anyone hoping to disconnect from the outside world for a bit. One of the reasons I enjoyed myself so much at Easy Tiger Hostel was the Sue Reyn Gayle Trio, the town’s most well-known live band. On my first night in town I decided to mingle with other guests and check out the music. The Filipino powerhouses belted out some classics, including a memorable cover of “Wanna Be” by the Spice Girls (Mel B’s rap and all) which was such an awesome bonding moment for everyone at the hostel. I also saw the band play a much more intimate and mellow set when I stopped by the Phong Nha Farmstay for dinner one evening. My eyes teared up a bit as I watched the group perform an emotional rendition of “Purple Rain” just days after legendary music icon Prince’s passing. Those interested in local fare can check out the town’s popular Phong Nha Bamboo Cafe, where the food is not only delicious but offered at a reasonable price. Visitors who have a taste for Western food can satisfy their cravings at Capture Vietnam Cafe, located adjacent to Easy Tiger Hostel. The vegetarian-friendly spot caters to all and serves up some of the most delicious food I’ve eaten in the past three months of travel. The brilliant owner, American expat Hannah Delap, even offers her customers breakfast, lunch and snack deals for long-haul bus rides. Genius. One of the more renowned spots in the area is the Pub with Cold Beer, a family-owned roadhouse known for it’s unique farm-to-table techniques. The formally-dilapidated wooden shack that once specifically catered to locals has quickly become a must-see destination for tourists in recent years. This place certainly appeals to adventurous eaters. Guests can catch, kill and cook their own chickens if they’d like; the faint-hearted can opt to have the family do the dirty work for them. Phong Nha is home to tall, black, cloud-hugging mountains, lush, thick jungles and rice paddies and — no big deal — the largest cave system in the world. While Phong Nha’s Son Doong Cave is too expensive for most travelers, it’s certainly worth mentioning. The cave is large enough to fit a half-block worth of 40-story skyscrapers within its walls and contains a jungle and river as well. There are several neighboring caves that are easier on the wallet that are quite popular among tourists. My personal favorite was the Hang Toi, also known as the Dark Cave. Not only did we get to zip line toward the cave, but once we were inside we floated in a natural mud pool and later cooled off in the nearby Thuy Tien lake. Talk about an awesome day! To be fair, a lot of people don’t apply for the three month visa, but like I said, I would be lying if I said I didn’t regret it. If you currently have the financial means and time allows you to travel, I strongly suggest making Phong Nha a must-see on your next trip. You won’t regret it.